Prior to giving birth to Savia in 2016 up until I resigned from work a few months after, and eventually moved in to the farther north of greater Manila area (we used to stay in Makati before), I did not know much about any mom-baby fairs nor any events that my husband and I could attend and learn from the experts in newborn care or parenting. Ironic as it may sound but despite being from the north, our little family has not yet attended any ExpoMom North that Mommy Mundo has organized for 3 years already. Thankfully that ExpoMom North had its 2nd run this year at Trinoma Mall last October 6 and 7 and we were honored to be invited by their generous team to come over and gave us shopping GCs to use. These are what was inside the lootbag given to Mommy Mundo passport holders at the entrance (until supplies last so be at the venue early. also, what’s inside the lootbag may vary). 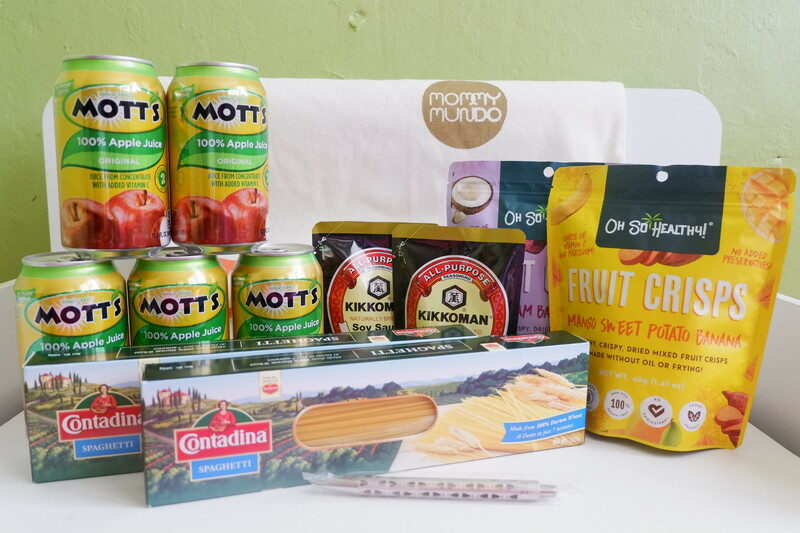 Special thanks to Mommy Mundo’s generous sponsors, Motts, Kikkoman, Contadina Pasta by Del Monte, Oh So Healthy and Goodbag PH. Meanwhile, here are what we got from our haul. 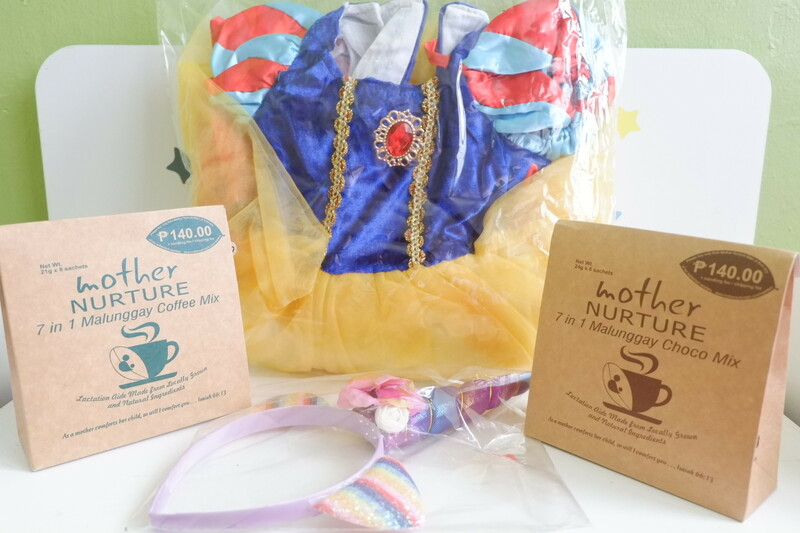 Snow White costume from Tots N Toddlers, Mother Nurture 7-in-1 Malunggay Coffee and Chocolate Mixes from Urban Mom PH, and a unicorn headband from Posh Fairy PH. We had so much fun stocking up for our mom-baby essentials at the ExpoMom North 2. So fun that I was able to list down 6 reasons why going to Mommy Mundo’s ExpoMom will change the way you shop for your kids. As someone has put it, “Every Problem is an Opportunity to a Creative Solution.” And that is exactly how Mommy Mundo, the Team behind ExpoMom was created by its Founder, Janice Villanueva almost two decades ago when she gave birth to her firstborn son. 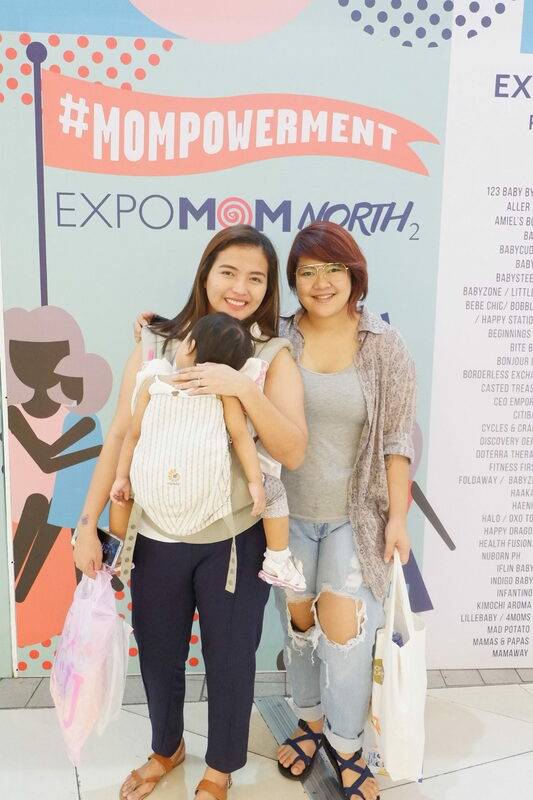 Meanwhile, ExpoMom, being one of the events that Mommy Mundo hosts, was first launched in 2008 with a vision of becoming the ultimate trade expo of mom and baby products in Manila. And after its successes in showcasing and advocating the true celebration of motherhood, it soon had Mompreneur Movement event and even reached out more and more moms (and dads too) as the team started to bring ExpoMom nationwide (Manila, Cebu, Davao, CDO, and [this Saturday, November 10 2018] in Baguio). 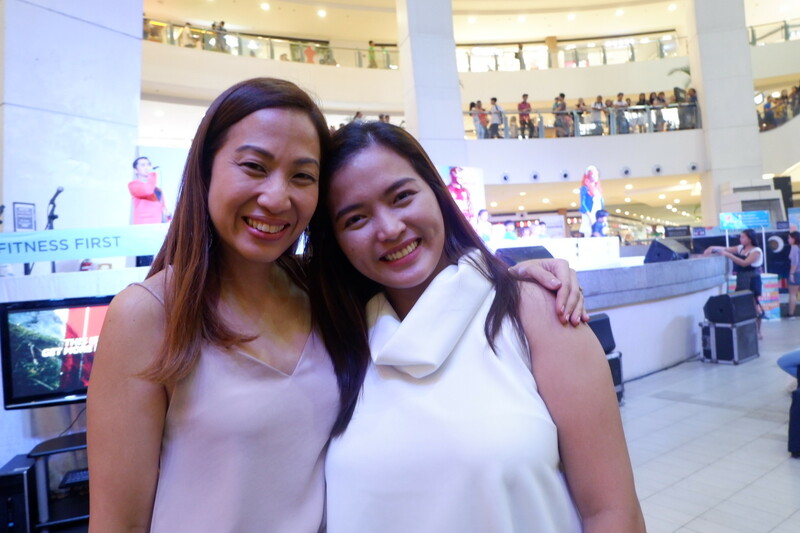 Apart from how she has founded Mommy Mundo almost two decades ago and how far the success of it has a come a long way, she remains grounded and very down-to-earth (as a lot of people also say about her and when I met her personally for the first time at the ExpoMom North 2). I must say, she’s a hands-on mompreneur and an inspirational mom of 3, too. She’s already been one of my mommy pegs even prior to our meeting. But of course, I must also commend the team (RJ Dancel and Reg and the rest of their team members) for their dedication and efforts in putting up and organizing such events for us parents. With Mommy RJ Dancel of Ang Buhay Lokal and one of the hardworking people behind Mommy Mundo. Before meeting her, I’ve already been following her blog and her IG account. And I just love how intricate her shots and her contents are. So sad didn’t have a photo with Rej, though. And because leaving the house with a toddler is already a challenge and an effort, making the most out of our time going out is crucial. Why going to the ExpoMom makes it so sulit? Because parents do not only get to shop from the wide array of trusted mom-baby brands in one place with great discounts and offers but there are also scheduled programs, informative talks, activities and raffle games during the event. And YES, it could also be an avenue for you to catch up with some mommy friends and make new friends with other moms and dads, too. With over 60 brands and exhibitors at the ExpoMom North 2, I did not miss out on dropping by almost (almost because I only missed out on 2 or 3 booths :-D) each booth and have at least a short chitchat with the owners or their staff who manned their booths to know more about their products, their advocacy and how they started. (Special thanks to Reg of the Mommy Mundo for also touring me around and for introducing me to some of the mompreneurs I was too shy to introduce myself to haha). Admittedly, visiting those booths and have a short chitchat with them was quite tiring but it was totally worth it. Here are photos I had with with some mompreneurs I got to chat with at the Expo. There’s nothing more inspiring than hearing the startup stories (may it be local or international brands who are distributed in the country) firsthand from the entrepreneurs themselves. Parenting by itself, as they say, is already challenging. Thank heavens for the brilliant minds and drive of entrepreneurs to come up or bring innovative mom-baby products that could make our lives so much easier and have one less thing to worry about. Just because there is no mom that I know is not busy and pre-occupied with all the mom- and non-mom-related stuff there are, it is always wise to write down your to-do’s, groceries and even the most important events such as birthdays and anniversaries (yeah, because #mombrain). That is why I am so excited to get my hands on the Mom 24/7 2019 edition because since they have launched it six years ago, for the first time ever they have collaborated with 3 artists to design its covers, and give each planner a distinct yet contemporary look. Mommy Mundo are accepting pre-orders for Mom 24/7 2019 edition at only P600 which will be launched at #ExpoMomHoliday 2018 on November 23-25! The good news is all valid Mommy Mundo Passport holders get their planner for FREE. This is one of the great perks of being an #mmpassport holder! Applicable for passport holders with issue dates falling between November 13, 2017 to November 25, 2018! Click on this link to apply for a Mommy Mundo passport or you may opt to apply in person at the Mommy Mundo Holiday on November 23-25. Details are in the post by Mommy Mundo below.